Duke lived in rural Nevada near the town of Stagecoach, with his elderly owner. 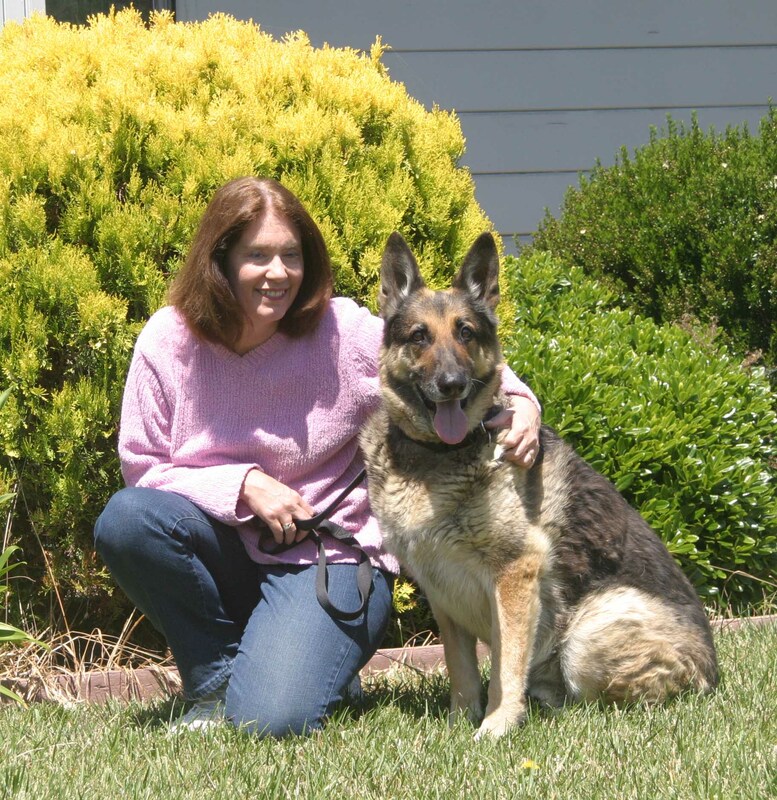 When his owner hadto move into a care facility, he could not take Duke. Duke was cared for by friends for a short time, but then the property on which he lived was sold. 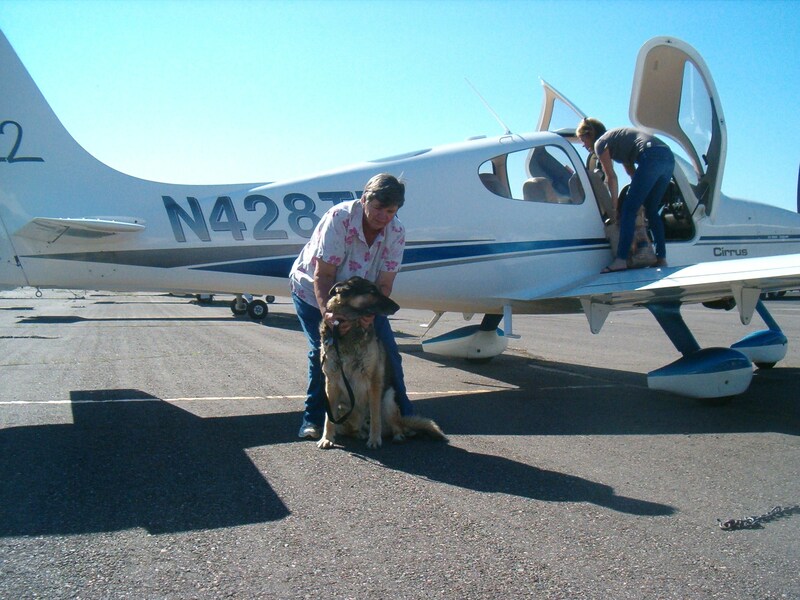 It looked like Dukes luck had run out, but long-time rescuer Donna Cochran Baker contacted our people in Reno and arranged for Duke to come into the Thulani Program. 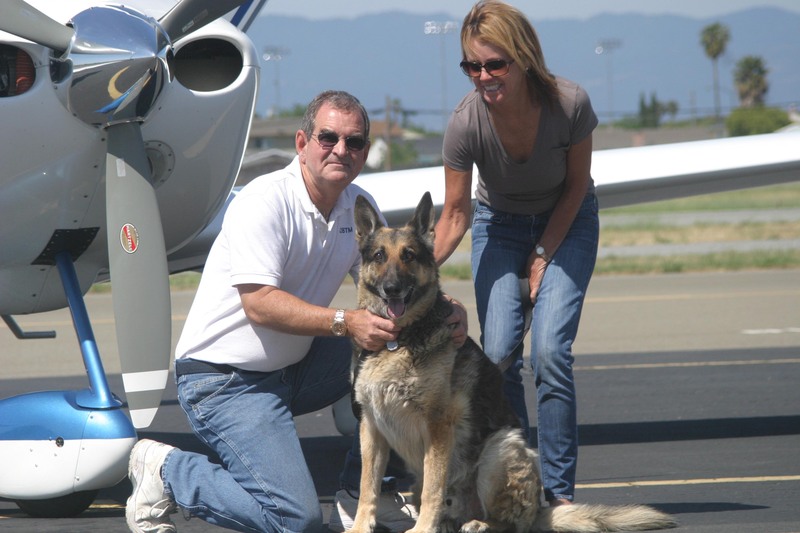 He traveled in style to his new home in San Jose, flown there by Bruce H. and his wife Patty of Pilots ‘N Paws. He slept most of the way, acting like he had been flying all his life. Duke now lives in San Jose with Emily and David L., and their kitten that Duke thought was great (the kitten was not so thrilled).